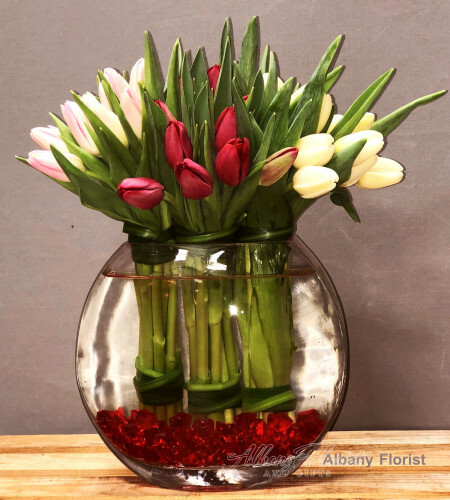 Simply tulips is the perfect gift for valentine's Day. 30 Tulips Bouquet will be delivered approximately as pictured. 10 Tulips Additional will be added to enhance the bouquet. 15 Tulips add offer in this style.